As I mentioned with the gift of the message of wisdom, the Greek could be more faithfully translated here as ‘message of knowledge’. Some might still prefer ‘word of knowledge’. The ESV translates as utterance of knowledge. Again, this is a small case of semantical preference. Also, as I stated in my previous post, there is a connection worth noting between the message of knowledge and the message of wisdom. They don’t always work in tandem, but at times they do. In many cases, a message of wisdom can help with understanding how to practically apply a message of knowledge. And I think this might be why Paul places the two gifts of the message of wisdom and knowledge next to one another in 1 Cor 12:8. As I mentioned with the message of wisdom, Christ is our great source of wisdom, literally the wisdom of God Himself (see 1 Cor 1:24, 30). And, of course, Christ is also our great source of knowledge and it is those who are in Christ who receive true knowledge. Therefore, whenever the Spirit gives a specific message of knowledge, it is that we might ultimately be renewed in our knowledge of and understanding of the One who already intimately knows us. Now, I know for some, a red flag might come up that says, ‘This kind of specific Spirit-imparted knowledge and wisdom was only privy to the first apostles.’ While I believe they had a very special role in helping found and establish the church, even proclaiming and penning much of what we have in our New Testament canon, I do believe God had every desire for such Spirit-imparted knowledge and wisdom continue. Of course, that is the whole premise of continuationism. Jesus still desires that the whole of his works continue in the whole of the body of Christ. What he began to do and teach (Acts 1:1) would be continued through the empowering of the Spirit amongst the body of Christ. That means us! And when you have seen these gifts enacted by the Spirit through Christ’s body, all to see the body edified and to see people drawn to Christ, it is truly stirring. We must also note that the message of knowledge is not identical with prophecy. True, a message of knowledge is given by the Spirit of prophecy, and thus, it has a prophetic characteristic to it. But the message of knowledge and prophecy are to be distinguished. For this reason Paul spoke of the two separately in 1 Cor 12:8-10. Let me also share a side note – I believe we must be careful in getting overly stringent in labelling each and every gift-service of God. Is that a prophecy? Is that a revelation? Is that a message of knowledge? Is that a message of wisdom? Was that simply an encouraging word? Though some of us (like myself) enjoy categorising and like to compartmentalise life, and such is not inherently wrong, we must not over-do this but rather be more gripped with simply serving one another in these gifts of the Spirit for the common good, whether we can label everything or not. For the most part, such will be easy. But sometimes we need reminding to guard against such. 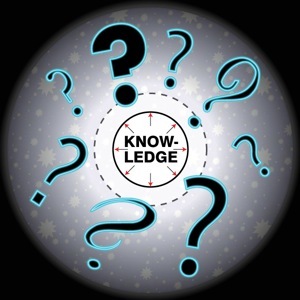 Typically, a word, or message, of knowledge has been seen as Spirit-imparted knowledge of another person’s thoughts, circumstance or condition. Thus, you have examples of this with the Spirit-given knowledge of Nathan in regards to David’s adultery with Bathsheba and the murder of her husband, Uriah (see 2 Sam 12:1-14). The account starts off with, ‘The LORD sent Nathan to David…’ God had revealed, made known, this situation about David. We also see this with Jesus and his knowledge of the situation of the Samaritan woman at the well (about her past marriages and current partner – see John 4:18). Though he was the divine Son, I believe Jesus had to rely on the Spirit as a true human being like us, meaning he didn’t walk around with a 100% download of all information about every person and subject. He was in constant dependence upon the Father. Here was a true example with a word of knowledge coming. Just as I pointed out that the message of wisdom could be active in the midst of sound Bible-teaching, so I believe that the message of knowledge could many times be active through different kinds of teaching-exposition of Scripture (whether in a shorter or longer context). I don’t mean that we identify an entire Bible exposition as a specific message of knowledge. But I can surely testify that God has given what I would identify as more direct insight and knowledge into His word by His Spirit during my preaching and teaching (or study of the Scripture). These ‘nuggets’ of knowledge and wisdom become a great breathe of life. I believe that, knowing the greater context of 1 Cor 14, this specific verse probably refers to more spontaneous activities of the Spirit, rather than prepared activities of our gatherings (though those are also helpful and good). Room should be given to God’s people for such activities. And here, we read that one of these activities is a ‘word of instruction’. Some translations have it as ‘teaching’ or ‘lesson’ (the Greek is didache). But it seems quite likely that this is connected to an instructive, maybe spontaneous, Spirit-manifested message of knowledge. Again, not necessarily a whole sermon. And, in this context, this is most likely referring to something different from what we call the ‘sermon’ today. But shouldn’t all teaching be Spirit directed? Of course. In all of our life, we are relying on the Spirit’s direction, wisdom and knowledge. But, just as we saw the Spirit-manifestation of the message of wisdom is distinguishable from wisdom through life experience and a full expositional sermon on Scripture, so I believe Paul distinguishes the same with a message of knowledge. But we must recognise that this gift is both needed and distinguishable from what we might note as regular Bible study, teaching and preaching. Therefore, to end, I might summarise a message of knowledge as this: a Spirit-directed statement or teaching that imparts knowledge from God or about God. If you are interested, I put below the links to both my audio teachings on the message of wisdom and the message of knowledge. This entry was posted in 1 Corinthians 12, audio, charismatic, continuationism, Gifts, Gifts of the Spirit, message of knowledge, word of knowledge and tagged 1 Corinthians 12, audio, charismatic, continuationism, Gifts, Gifts of the Spirit, message of knowledge, word of knowledge. Bookmark the permalink. A very well written description of the gift. I haven’t read your post on wisdom, but one comparison between wisdom and knowledge would be illustrated by Solomon’s response to the two women arguing over who was the true mother of the remaining baby. I, being a typical charismatic believer, might have waited on the Lord for a word of knowledge, and then declared “Doris, she is the true mother, the other is mother to the dead baby”. Immediately, there would have been an outcry from the fraudulent mother and her supporters, and the dispute would be open to continued argumant. Solomon, on the other hand using the word of wisdom, told a guard to cut the baby in half, knowing all the while that it would never happen. Immediately, the evidence of the true mother was given from the mouth of the false mother. Wisdom guaranteed there would be no further dispute. Many a word of knowledge fails because of the lack of wisdom in its use. Yes, I did share of that account in my article on the message of wisdom. And the gifts of the message of knowledge and message of wisdom can work very well together, the wisdom helping us apply the knowledge God reveals to us.